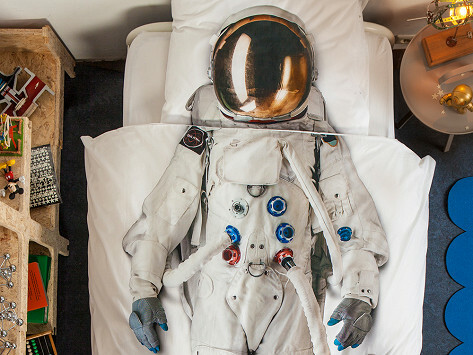 These photo-realistic kids’ duvet covers let kids play dress up as they get tucked in. Super soft and meticulously designed, the duvets feature beautiful screen printed images that will pique kids’ imagination. They can be mermaids, astronauts, or ballerinas just by snuggling up under the covers. Dimensions: Duvet Cover: 68" x 86"; Pillowcase: 20" x 26"